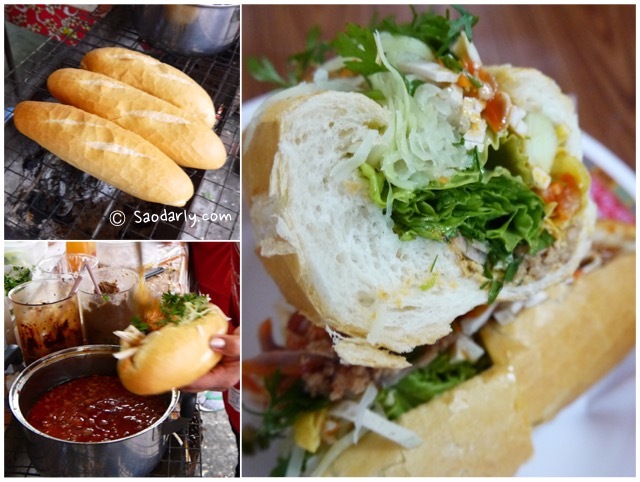 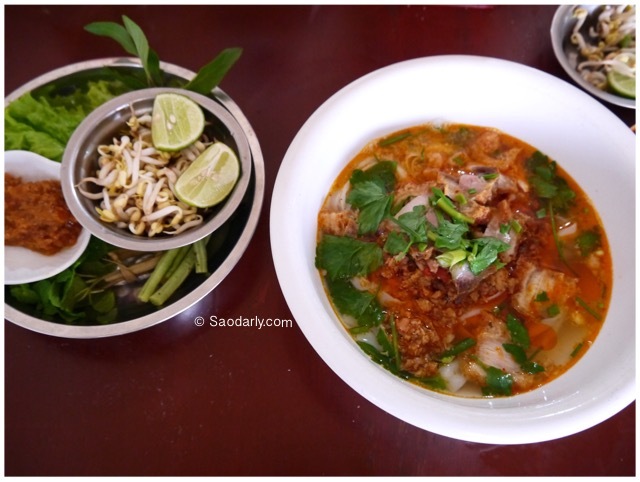 Having a bowl of Mee Kati ຫມີ່ກະທິ (Rice Stick Noodles with Coconut Milk) for lunch in Vientiane, Laos. 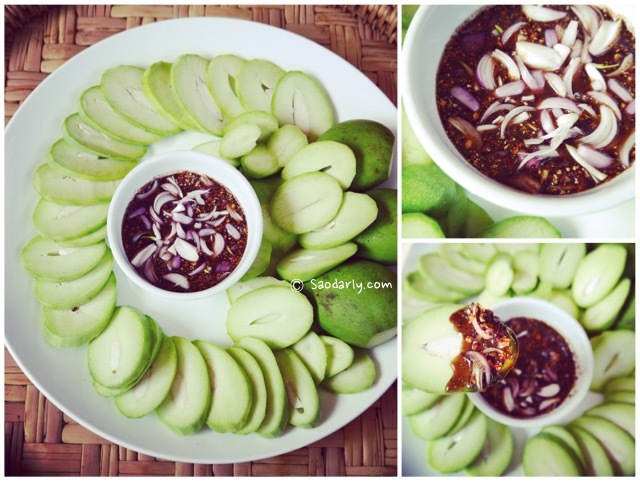 Sour young green mango (Mak Muang Som ໝາກມ່ວງສົ້ມ) with spicy fermented fish dipping sauce (Jeow Padaek Waan ແຈ່ວປາແດກຫວານ) for afternoon snack in Vientiane, Laos. 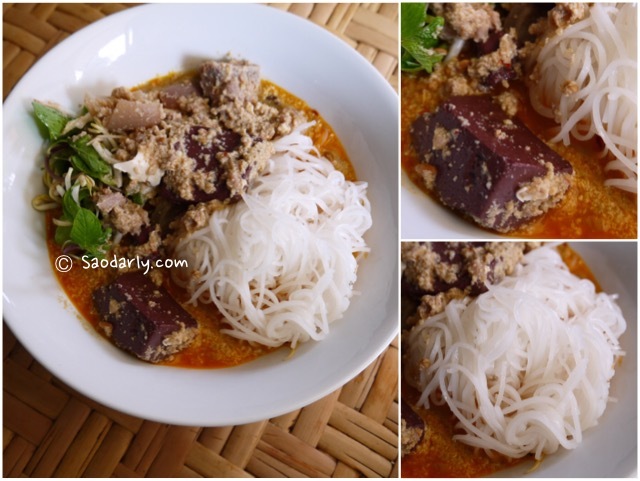 Having a small bowl of Khao Soi or Khao Soy (ເຂົ້າສອຍ; ເຂົ້າຊອຍ) for lunch at Chansouk Xayavong Feu Restaurant (ຮ້ານຂາຍເຝີ ນາງ ຈັນສຸກ ໄຊຍະວົງ) in Luang Prabang, Laos. 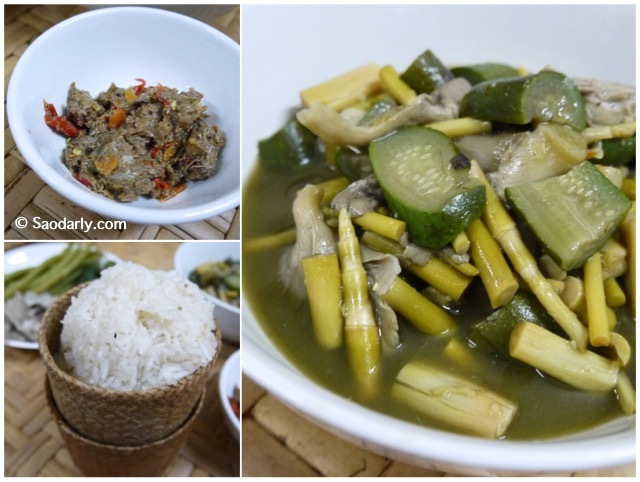 Lao Bamboo Shoot and Yanang Soup (Keng No Mai Sai Yanang ແກງຫນໍ່ໄມ້ໃສ່ຢານາງ) for dinner in Vientiane, Laos.